Some of my favorite childhood memories involve trout fishing in the mountains of north Georgia. As a kid, it was always spin fishing, but as I got older, I learned to fly fish. Of course, spin fishing has its own rewards, but I love the activity and mental challenge of fly fishing—not to mention the incomparable view when you’re standing knee deep in a mountain stream. Of course, you don’t have to wade in a river to fly fish. 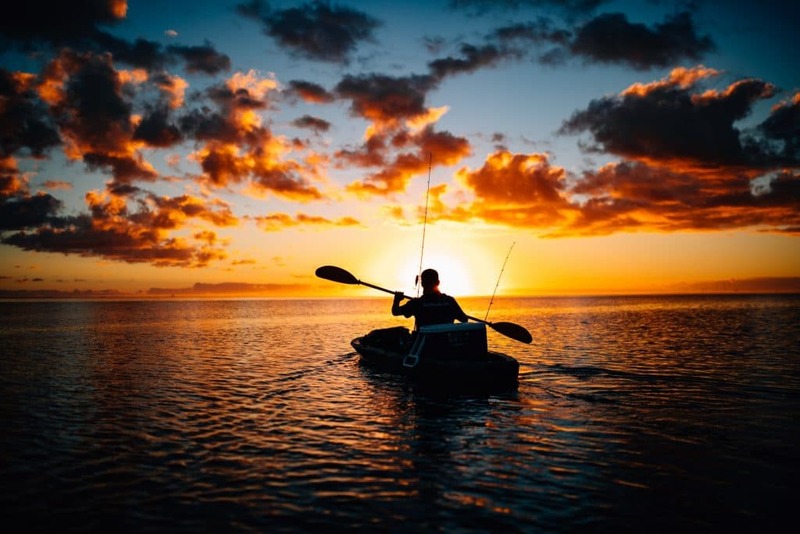 You can stand in the stream or use a drift boat, and you can fly fish in still water or even in the ocean. 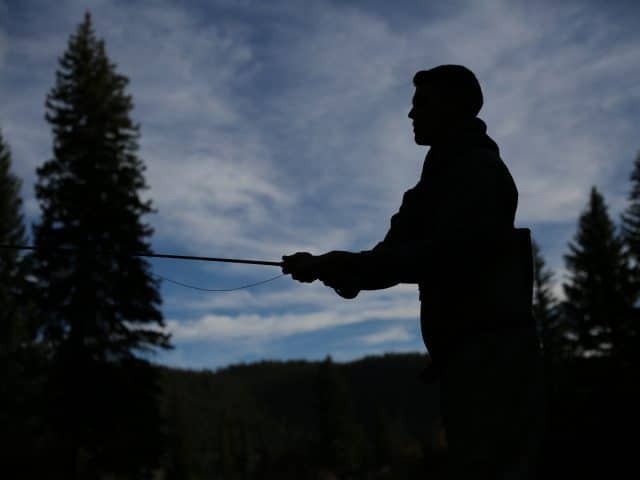 But to be successful fly fishing, no matter where you do it, you have to know what you’re doing. Like I said, there’s a mental challenge. Don’t let that stop you from giving fly fishing a try, though. You have all the information you need to get started right here. Before you start choosing gear, you’ll need to know what kind of fish you plan on catching. 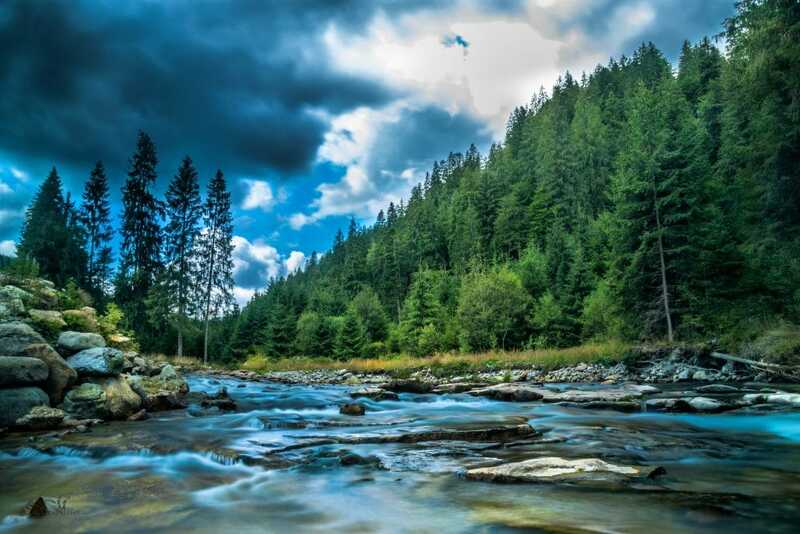 There are several different species of trout, but all live in cold water rivers and streams, though some can also be found in lakes or even towards the ocean. 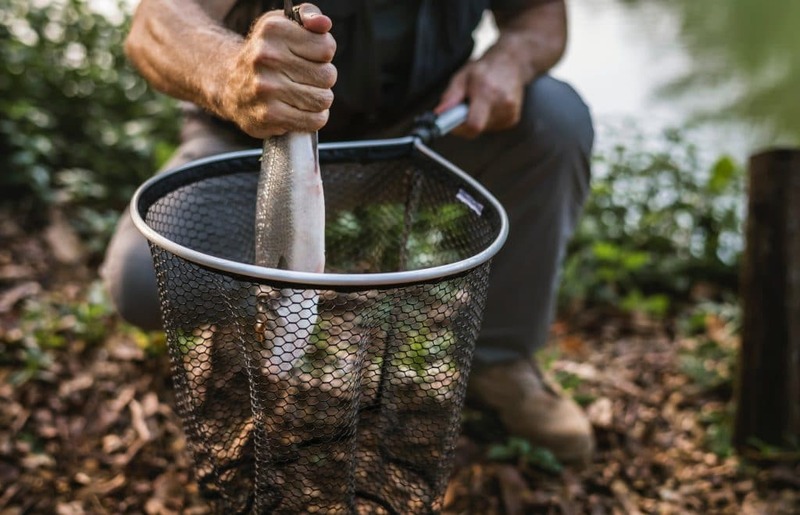 Trout can be found year round as long as the water is cold enough, but state laws may limit when you can actually fish them in order to protect trout populations. In most states, trout season opens around spring or early summer and closes around the beginning of fall. Fishing for salmon during their run is the quintessential fly fishing experience, but salmon can be very difficult for beginners to catch, especially large species like king salmon. 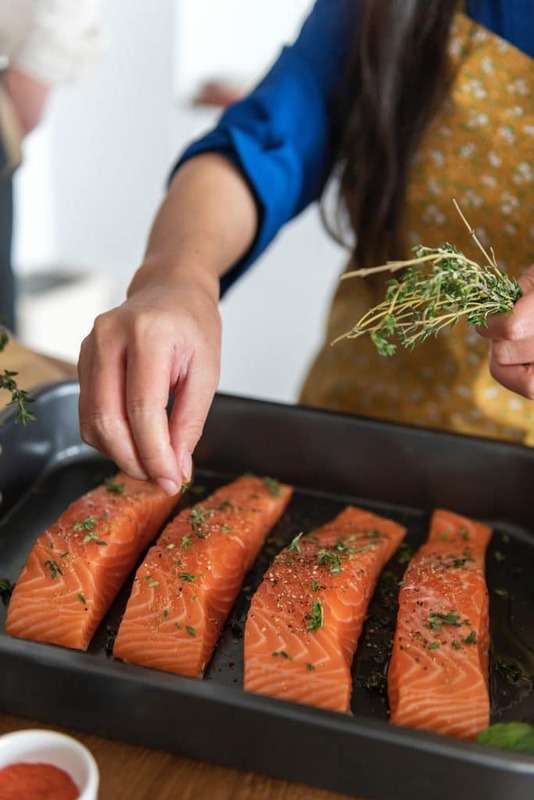 For the most part, running salmon are found in rivers fed from the Pacific Ocean in the northwest, but you can also find stocked salmon in landlocked waters in Maine and the Great Lakes. 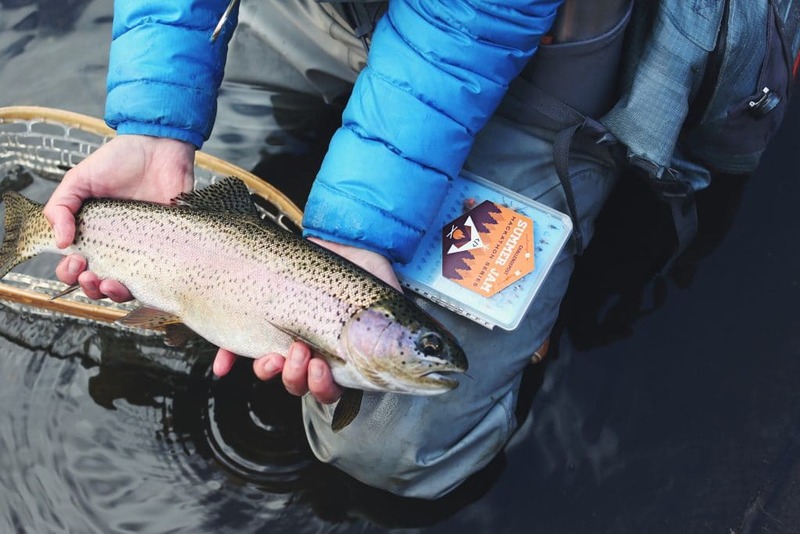 There’s a salmon run going on somewhere just about all year, you just have to look in the right place at the right time to bring home some of the tastiest and most popular freshwater fish in the world. Bass, on the other hand, is a great starter fish for new fly fishers. Bass can be found in rivers and stillwater across the lower 48 and can usually be caught any time of year. For your best odds, fish for bass in the morning or evening when light is low and bass are closer to the surface. Once you know what you’re fishing for, it’s time to start choosing your gear. Let’s start with your line. First, you need to determine your fly line weight, which is measured in grains, a tiny unit of measurement that’s equal to just under 65 milligrams. Standard fly line weights range from one to 14, but you do occasionally see lines with higher weight. Four: perfect for catching medium to large sized panfish and small to medium sized trout. Five: works for large panfish, small bass, and all but the largest trout. Six: great for small to medium sized bass, all trout, and even small salmon. Seven: good for larger bass, giant trout, steelhead, and small to medium sized salmon. 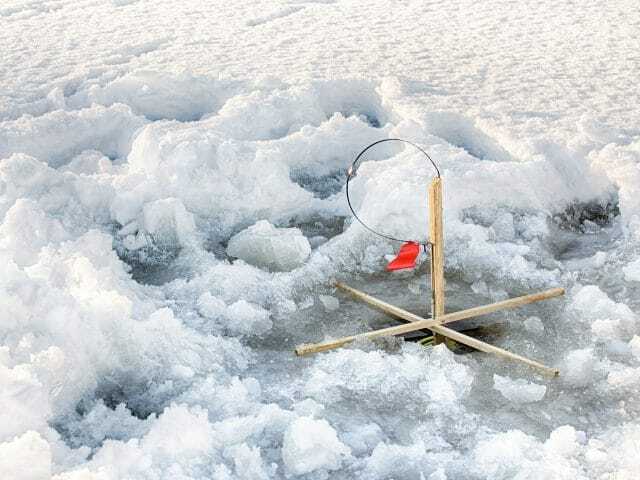 There are a variety of different types, but weight forward floating lines, which taper, decreasing in size from the front of the line back, and float on the top of the water are best because they’re easiest to cast and control. 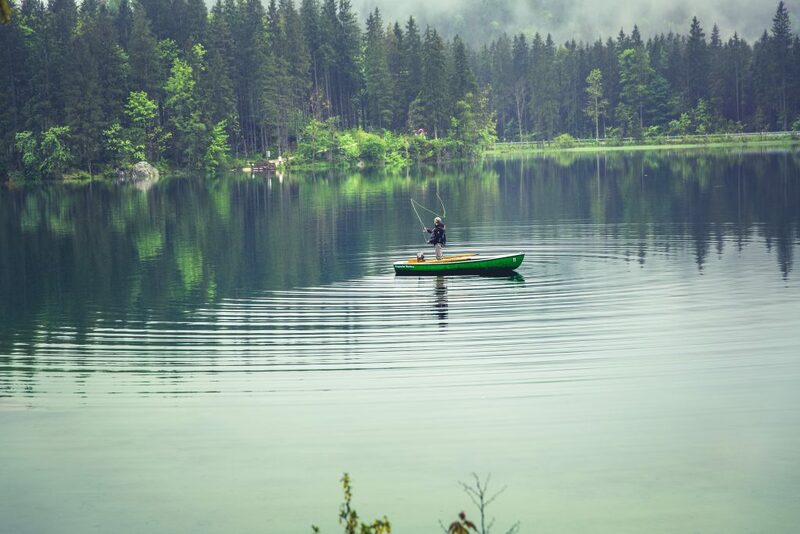 Beginners should also opt for brightly colored lines, which are easier to see on the water. Once you’ve chosen your line, you will probably also need backing, which is tied and spooled between your reel and line. Though not strictly necessary, backing is very helpful. It adds length to your line, which is usually just 90 feet. Backing also fills up empty space on your reel spool, allowing you to reel line in more quickly smoothly. 20 pound backing is sufficient for line weights eight and below. Use 100 to 200 yards of backing. Your leader allows your line to land gently on the water and provides a size transition between your thick, brightly colored line, and your fly. Because it needs to go through the hook, leader needs to be chosen according to your fly size. Flies are sized according to the size of the hook to which they’re tied, and the larger the number, the smaller the fly. To match leader size to fly size, multiply the size of the leader by three and use a fly of that size or smaller. For example, a 5x leader can be used with flies size 15 and smaller. Tippet is the last transition between the leader and fly and should be two to four feet long and no thicker than the smallest diameter of your leader. It should be virtually invisible to fish and should be flexible to allow your fly to move naturally in the water. The tippet also helps preserve the leader when you cut off flies. Leader is expensive, and when you cut it, you lose some of the taper, but tippet is much more affordable and is consistently sized. 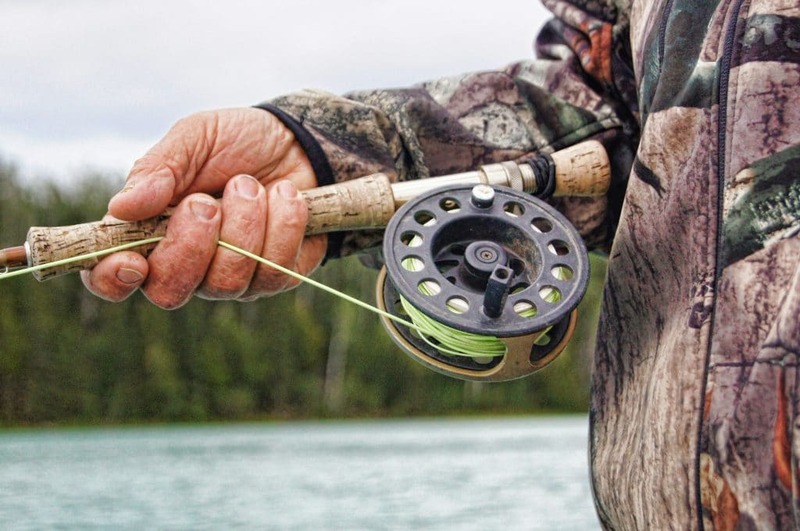 Next you can move on to choosing your fly rod and reel. They’ll have weights indicated as well, which refer to the line weight they should be used with. Using a rod and reel with a line a weight or two smaller or larger won’t damage your equipment, but you will see lower performance. On top of line weight, you also need to take into account rod action, which refers to how flexible the rod is, when selecting a fly rod. 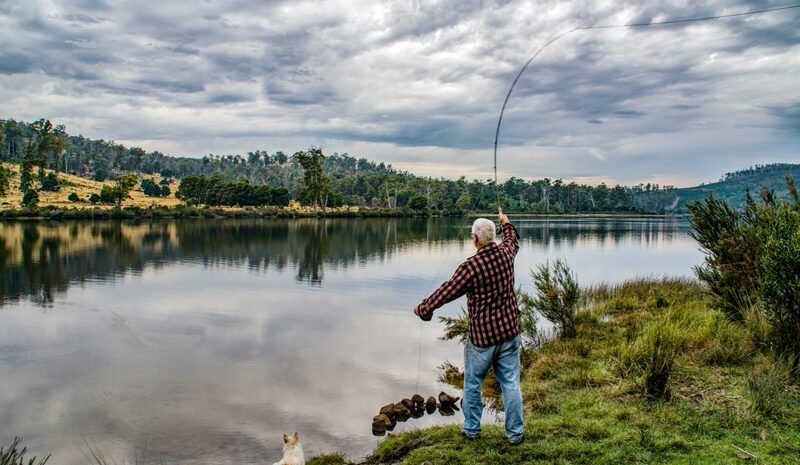 Medium action (or mid-flex) and slow action (or full-flex) fly rods are both good for beginners. Slow action rods are easier to cast and more forgiving, but they’re best for fishing small streams. A medium action rod will have a bit more of a learning curve, but also offers more versatility. You’ll also need to consider rod length. 8.5 feet is a good general purpose length and the one I’d recommend for most beginners. 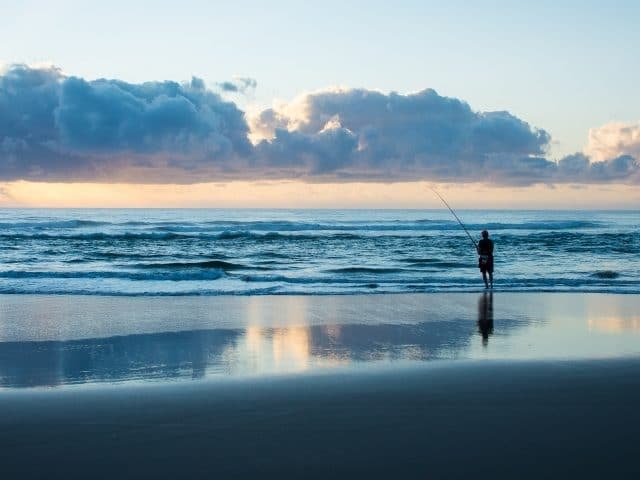 9 foot rods are usually reserved for long casts or heavy line, but if you plan on fishing somewhere very windy, this may be the best option for you. Rods 8 feet and shorter are best for short casts and small fish. We already covered that you’ll need to choose a reel for your line weight, but you’ll also need to consider the drag system. A click-and-pawl drag system is inexpensive, but won’t stand up against large or hard running fish. For catching your typical trout, however, the click-and-pawl system is fine. Other drag systems, like a disc system, will cost more, but will also stand up to larger, tougher fish. To determine which drag system is best for you, you just have to weigh your budget against the size of the fish that you’ll be going for. A complete discussion of flies would require a post (or several) of its own, so I’ll just cover the basics here. For more in depth info and to find out what does best at your particular fishing spot, talk to a pro at your fly fishing gear supplier. Flies are designed to resemble fish’s natural prey, often insects, but they can also look like other creatures, like frogs or smaller fish. Different flies will reflect different life stages. When selecting flies, consider your target fish’s diet. Once at your fishing site, take the time to look for feeding fish and try to select a fly that matches what they’re already eating. You can buy flies or tie your own, but beginners are best off just buying until they know what kind of flies do best with the fish they catch. Even with perfect fly choice, fly presentation—that is, how your fly appears and behaves in the water—determines your success. The technique you should use to ensure successful presentation depends on what you’re fishing for and the fly you’re using. 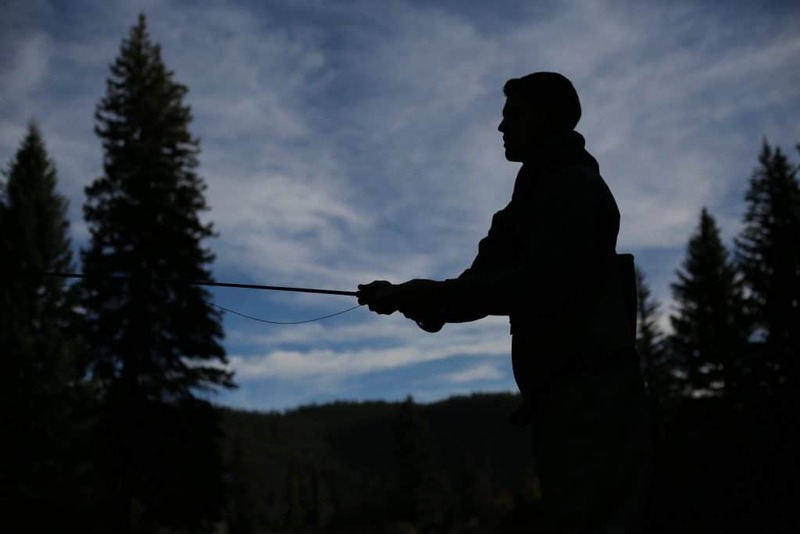 Getting into fly fishing can seem like a daunting task, but as long as you are willing to learn new skills and hunt down good information, you’ll do just fine. And don’t be afraid to ask for help from some of the old timers out there… you’d be surprised what you can learn by asking.